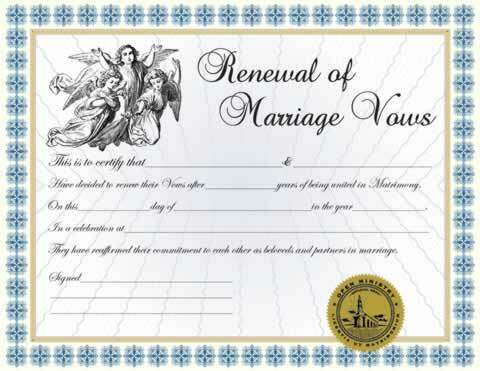 This personalized Renewal of Vows Marriage Certificate can be pre-printed with names of the couple, years married, date and location of ceremony, names of witnesses and person solemnizing the marriage. Decorated with our gold embossed ministry seal. I had this made for my sister's vow renewal and they loved it. It was just beautiful even before I framed it and it arrived quickly. I loved it. It was professional and I couldn't have been more happy with the products. My parents loved it and will treasure it forever.